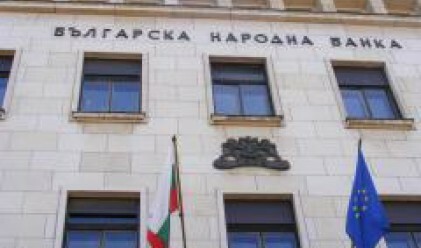 Is the Bulgarian Currency Board at Risk? By Ivan Dimitrov, New Europe Corporate Advisory Ltd. The U.S. credit crunch from last year has escalated to a full-blown global financial meltdown. The past two-three months, when macroeconomic indicators in Bulgaria started heading south, proved that it is absurd to expect that the country will be spared by this crisis. Major guarantee for the macroeconomic stability in our country is the currency board, and recently we frequently started hearing opinions in the public space which comment on whether the board is going to withstand the crisis or will collapse. Filled with cautious doubt, we undertook a short study in order to check this. Bulgaria's situation is interesting because under the currency board conditions the government and the central bank (BNB) do not have certain regulatory mechanisms at their disposal, such as setting target interest rates or printing more money. The country must hold reserves of foreign currency equal to at least 100% of the domestic currency issued to honor any demands to convert its domestic currency at the fixed exchange rate. The central bank can increase the money supply (print new money) only when it has coverage for that in foreign exchange (FX) reserves. Therefore, a prime indicator of how "healthy" the currency board in Bulgaria is would be how many times the FX reserves cover the money supply. Currently BNB holds more than enough reserves to comfortably cover the most liquid money supply - M1 (mainly banknotes and coins in circulation). However, in a fractional-reserve banking system, such as the one in Bulgaria, it makes sense to check whether BNB is able to honor in full all foreign exchange liabilities - not only for the total local currency in circulation (M1), but also the money created through the multiplier of the bank loans (M2). A portion of the deposits included in M2 were originally made in foreign currency, so we chose to look only at that part of M2 which is in Bulgarian Levs (BGN). The graph below (Chart 1) shows that it was only recently when FX reserves actually rose above the M2 (BGN only) levels. While this did not present any problems for the currency board before, when confidence among individuals and institutions was high and capital was cheap and abundant, it might be different in times of global financial crisis. At the end of 2008 the FX reserves dropped sharply by more than 20%, driven mainly by a drastic decrease of the government's deposit at BNB (which is part of the FX reserves). In less than six weeks (from November 14th to December 23rd, 2008) the Bulgarian government managed to spend 2 billion EUR from its fiscal reserve which was not the best thing to do when possibly the biggest financial disaster of the last century is looming over the country. The greater the forex reserves at the central bank, the bigger the safety cushion against financial and social catastrophe in Bulgaria. As we can see from Chart 1, the result of this reduction caused the FX reserves coverage ratio of M2 (BGN only) to dive steeply to 90% in December, 2008. If the worsening trend continues, it will pose a serious risk for the central bank's ability to maintain the Lev-Euro fixed exchange rate. Another characteristic of the Bulgarian economy in the last few years has been the unprecedented growth it experienced. An explosion of bank lending led to a rapid growth in consumption, which brought an increasingly widening Current Account (CA) deficit of up to 25% of GDP. These deficits were offset by Capital Account flows, thus creating dependency on foreign cash. Now, when the global crisis has caused the foreign financing to dry up, it has become clear that the CA deficit levels are not sustainable. Local businesses and consumers can pay for imported goods and services only by converting their local cash reserves to foreign currency (if they do not have any other revenues in foreign currency). Hence, the levels of FX reserves at BNB can be a measure of how long the country can afford the deficit. Chart 2 shows the FX reserves to Current Account deficit coverage ratio. It represents the "cash burn ratio" in months, i.e. how many more months can the FX reserves last at the present levels of the reserves and CA deficit. The ratio is cyclical in nature, improving in the summer because of the tourist season, and dropping during the rest of the year to an average value of 18 months (a year and a half of coverage). Despite the sharp drop of the FX reserves in the last two months of 2008, the graph reveals that the ratio actually slightly improved and then leveled off. This is due to the fact that the CA deficit has decreased faster than the FX reserves have fallen - imports shrink as declining demand causes companies to scale back their activities and investment, and individuals reduce their consumption. Still, the large current account deficit presents one of the greatest threats to the foreign exchange reserves and the macroeconomic stability in the country, as the reserves can be drained very fast, if the adverse tendency of huge deficits persists. Another use of the foreign exchange reserves at the central bank is as a provision for external debt payments. Especially important is the short-term debt (ST Debt), which is all obligations that must be paid within one year. We can see from Chart 3 below that the foreign exchange reserves coverage of the short-term external debt (FX / ST Debt ratio) has been falling over the last three years. The situation reached a critical point in November 2008, when the coverage fell to close to 100%. The graph also reflects the fact that the FX reserves fell even sharper in December. While most of the debt obligations are private (financial institutions, corporations and households), the steep reduction in the coverage ratio (below 100%) would imply that the government and the central bank will be unable to do much in the way of guaranteeing or directly refinancing maturing private debt obligations in a time of a credit freeze and lack of external sources of financing. Maturing private debt obligations denominated in FX will further fuel demand for euros (the currency in which most of the FX debt is denominated) and could additionally jeopardize the capacity of the central bank to maintain the currency peg against the euro. Conclusion: So far nothing dramatic has happened in Bulgaria: no bank has declared bankruptcy; there has been no attack on the currency board; the current account deficit is manageable; the total foreign exchange reserves are still at sufficiently high level... However, the tendencies described above are real, are happening now, and are not heading in a favorable direction, threatening the board's existence. We simply hope that the future proves our apprehensions wrong and that Bulgaria is not currently on the brink of something utterly unpleasant. The author is an Investment Banking Analyst at New Europe Corporate Advisory Ltd (NECA). Kenneth Lefkowitz also contributed to the article. NECA is an investment banking and corporate finance boutique, advising on mergers and acquisitions, equity and debt financing, privatization, and restructuring/optimization.